Lovely Single Story Loomis Home on Private 2.9 Acres. 4300 Sq Ft.+ 1250 SF Guest Hm. 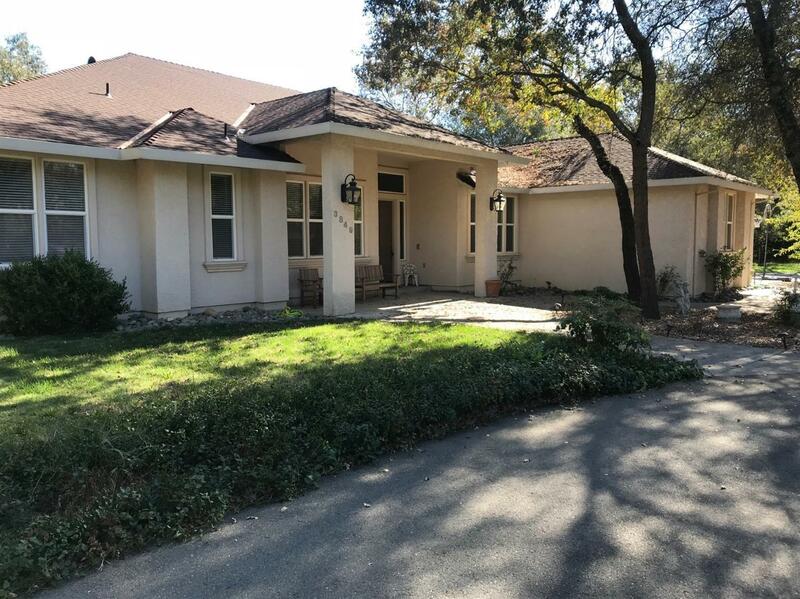 Hosting 4 Bedrooms, 3 Full and 2 1/2 Baths, Great Room Floor Plan w/Fireplace, Formal Dining Room, Breakfast Nook, Game Room w/Wet Bar, Office w/Outside Entry, Laundry Room w/Sink, Cabinets, 3+ Car Garage. Master Suite, w Fireplace, Walk in Closet, Tile Shower, 6 ft. Round Hot Tub. BONUS: Guest House, 2 Bedrm, 2 Full Bth, Indr Laundry, 2 Car Garage. Private Road, Excellent Schools, Del Oro High School District.